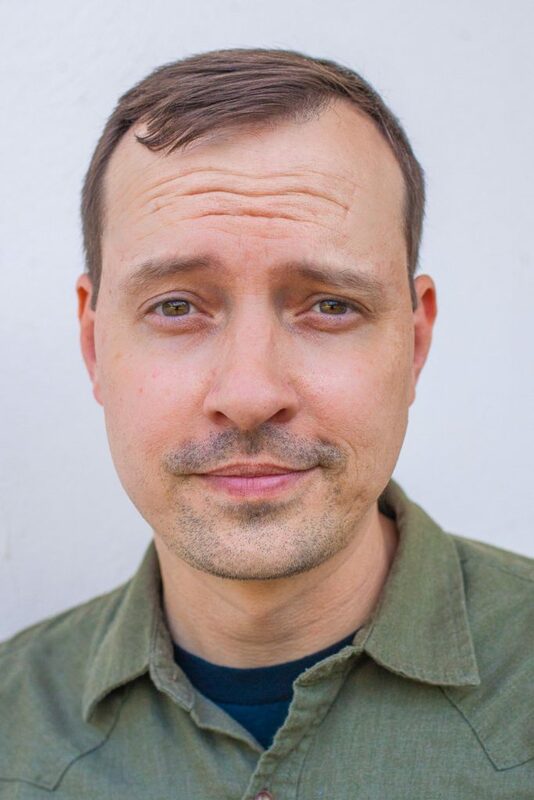 Originally from East Texas, Matt Lyle is a writer, actor, and director living in Dallas, Texas. Matt’s plays have been produced across the U.S. His plays THE BOXER, HELLO HUMAN FEMALE, BARBECUE APOCALYPSE and BIG SCARY ANIMALS all garnered DFW Theater Critics Forum Awards for “Outstanding New Play” and BARBECUE APOCALYPSE was nominated for an American Theatre Critics Association Steinberg New Play Award. Matt has been commissioned by Theatre Three, Dallas Theater Center and Audacity Theatre Lab. He is a member of the Dramatists Guild and the Playwrights’ Center and was honored as the 2018 Distinguished Alum of the Stephen F. Austin State University School of Theatre.